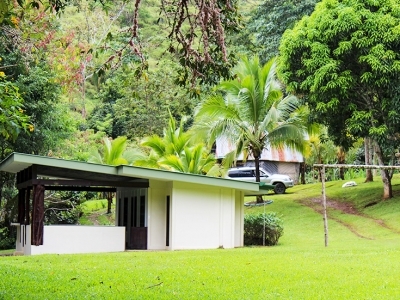 5 ACRES – 2 Bedroom Home Off The Grid With 1 Km Of River Frontage!!! 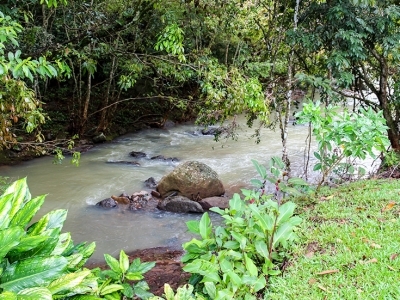 This beautiful 5-acre property features 1 kilometer of riverfront and a newly constructed 900 sq. 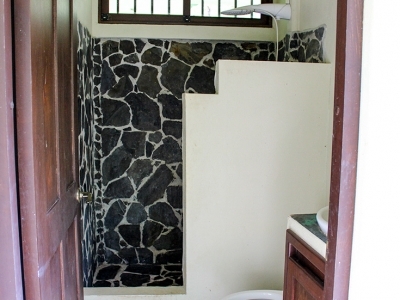 ft., 2 bed / 1 bath “off the grid” mountain retreat. 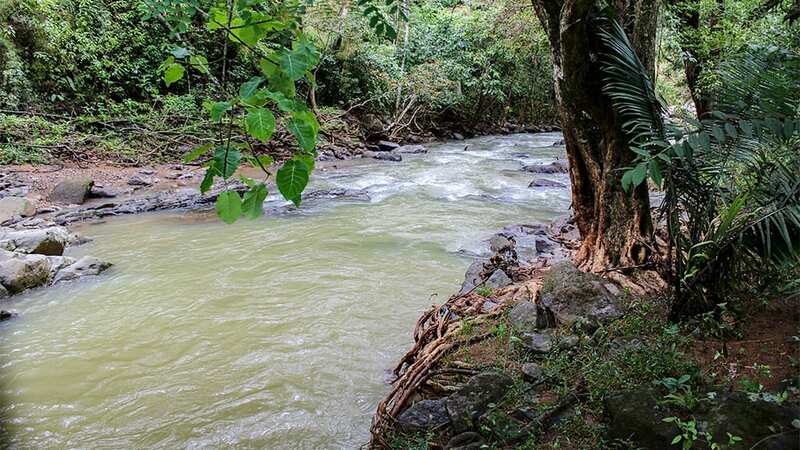 While relaxing on the covered patio area you will be able to enjoy the sights and sounds of the River Pacuarito as it gently flows below. 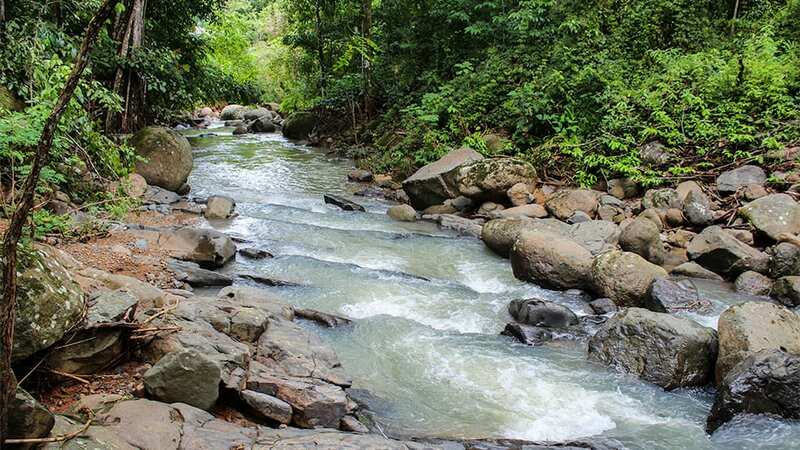 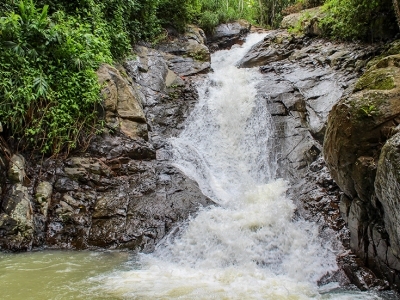 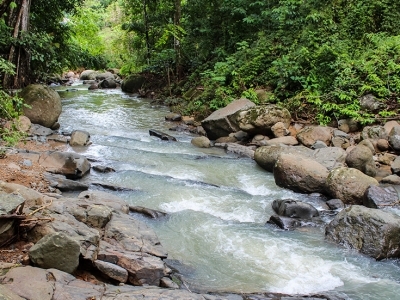 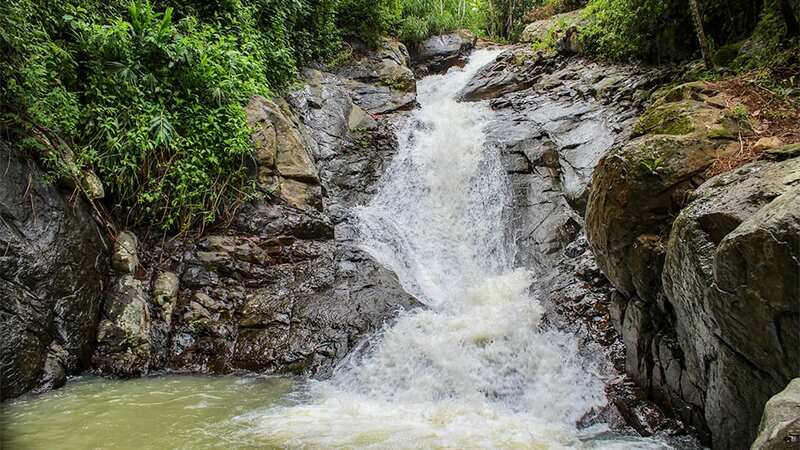 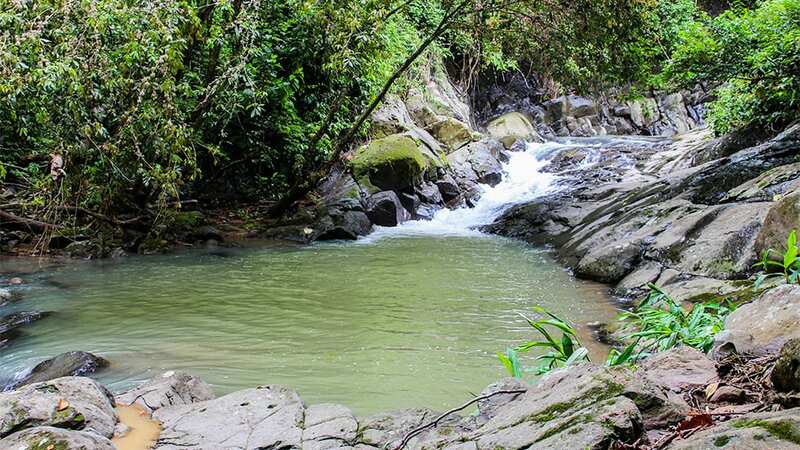 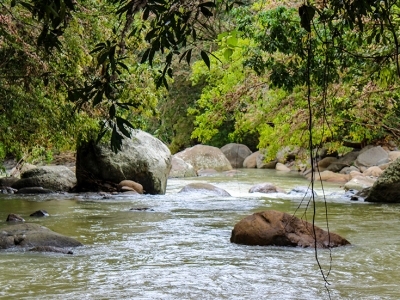 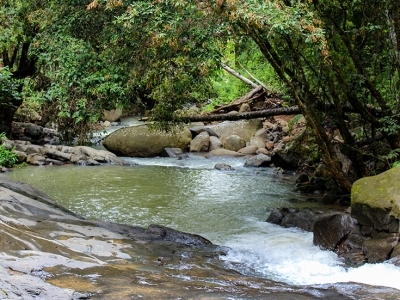 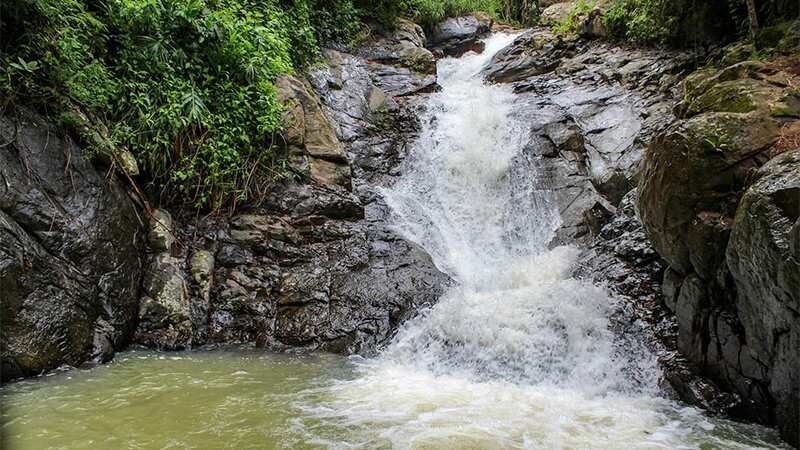 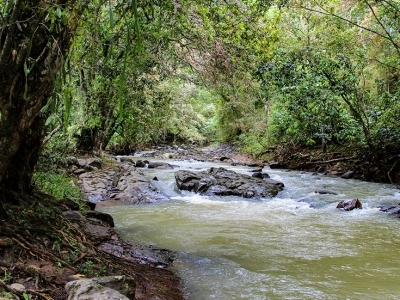 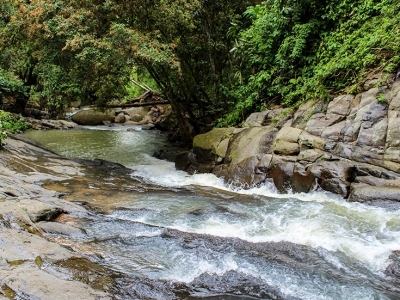 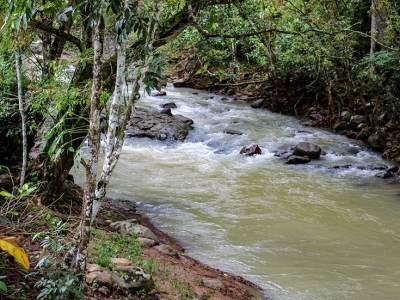 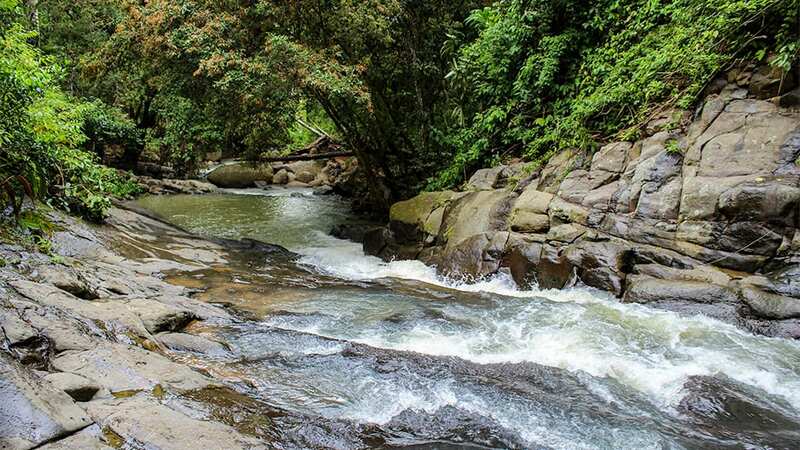 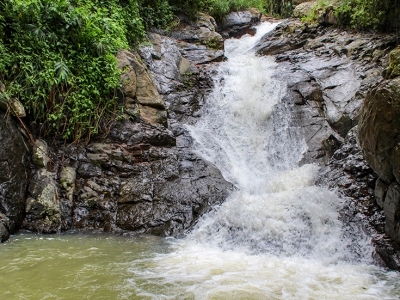 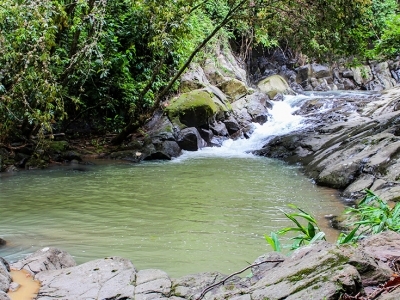 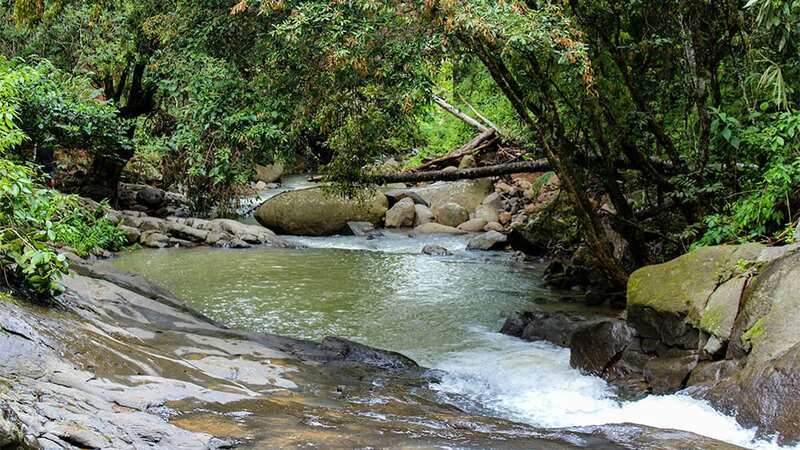 Along the river you will discover refreshing swimming holes and a beautiful tiered waterfall with a natural “jacuzzi”. 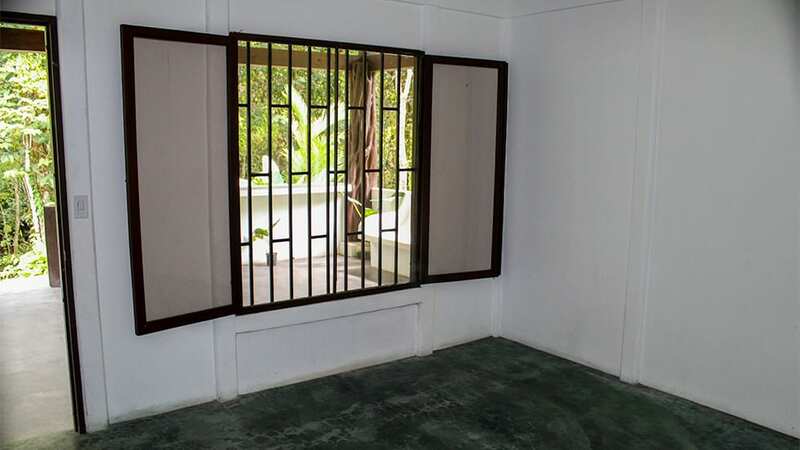 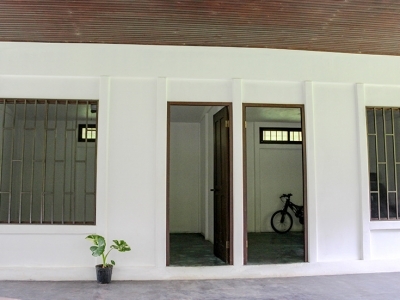 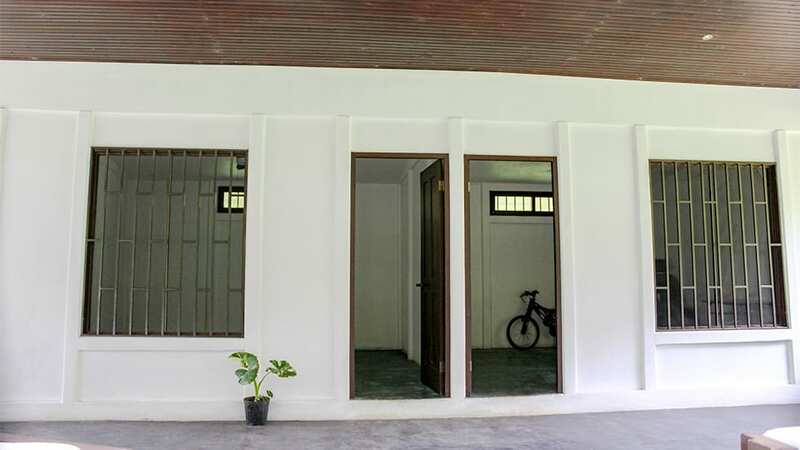 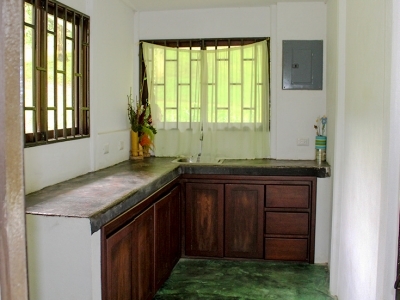 The property includes large flat open spaces that can accommodate a wide variety of different uses. 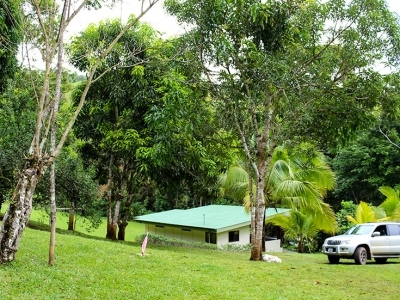 The property is ideal for a small sustainable farm, a nature hospitality getaway or a personal family retreat. 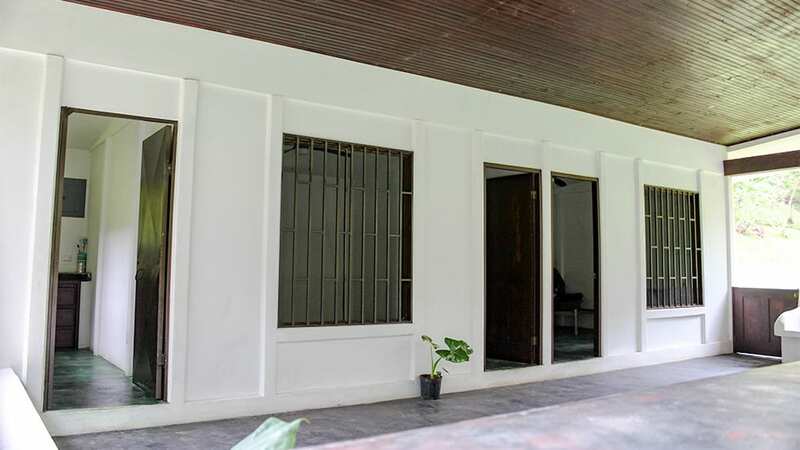 The current house was intentionally designed to take up a small footprint on the property while leaving large flat spaces ready for the next buyer to use as they see fit. 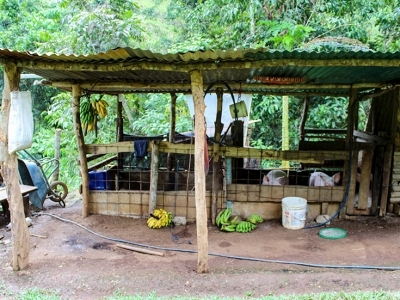 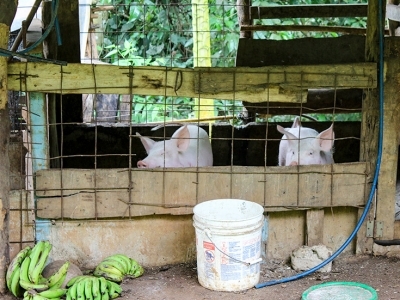 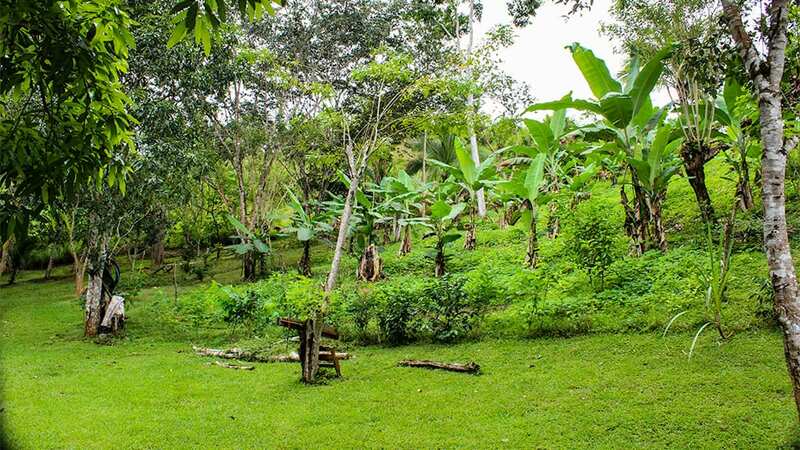 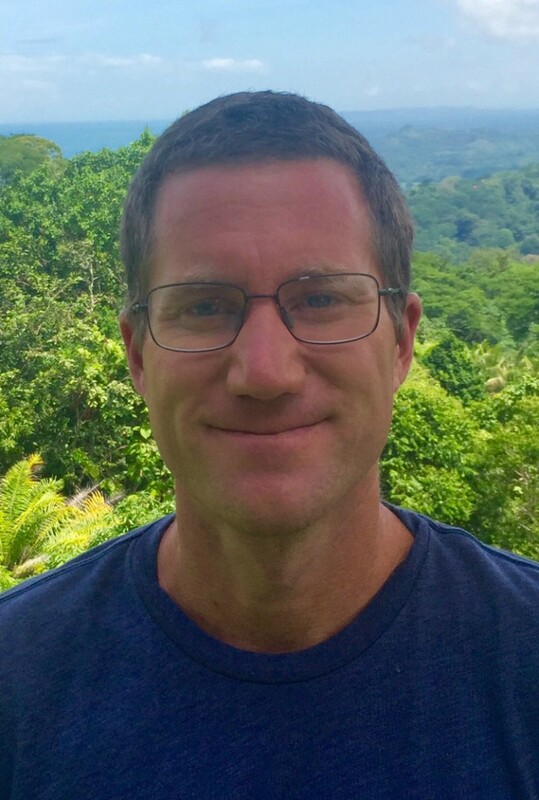 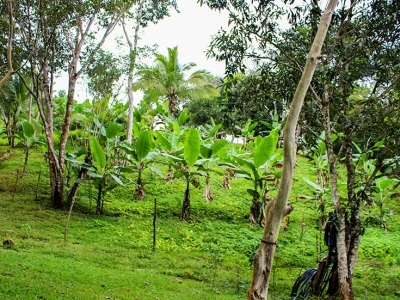 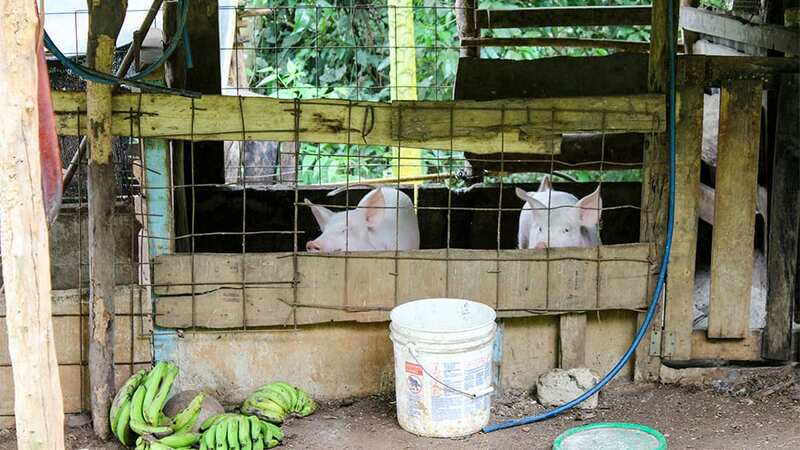 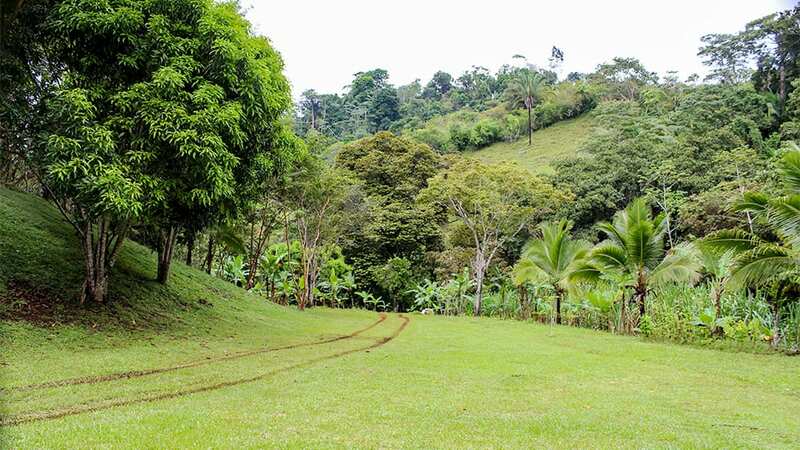 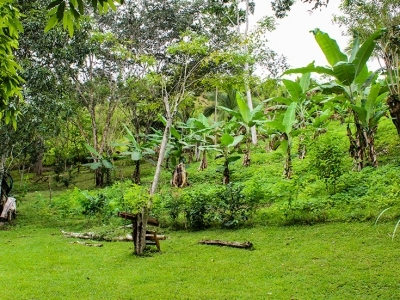 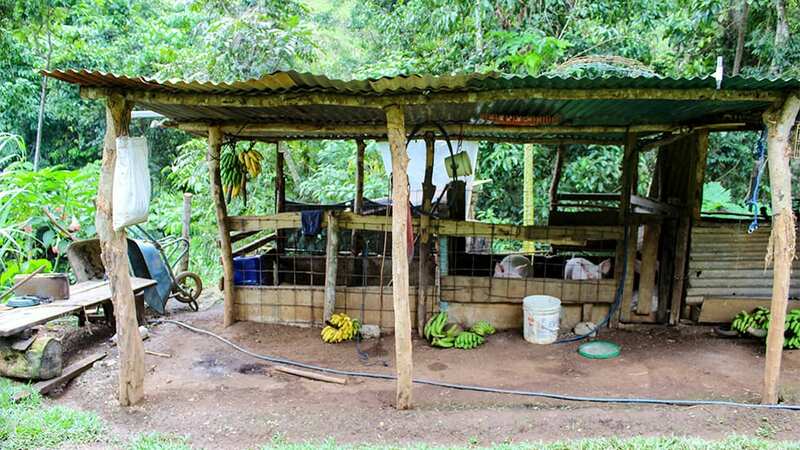 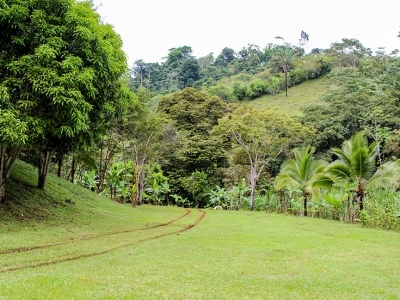 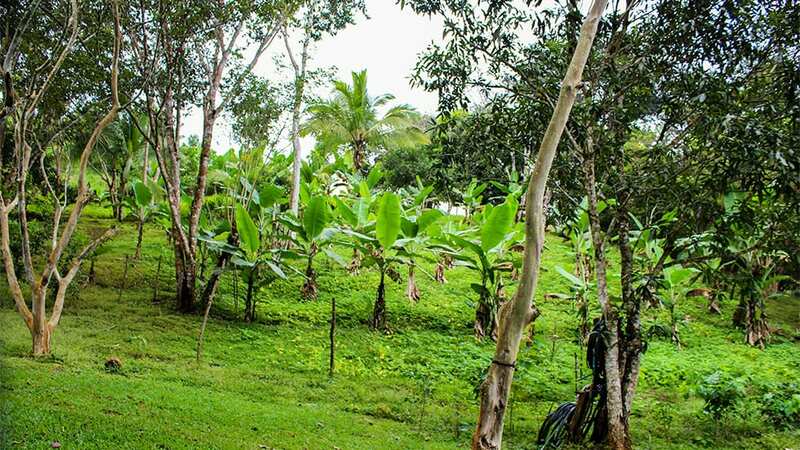 The land is extremely fertile and planted with a multitude of fruit trees including bananas, plantains, mangos, avocados, mammon chinos, star fruit, oranges, and limes. 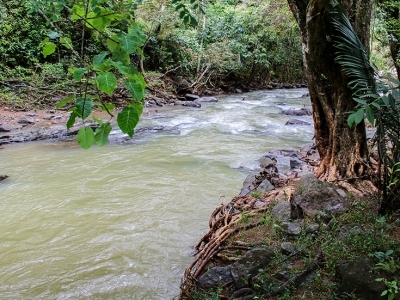 The 1 kilometer of riverfront includes areas that can sustain a small micro-hydroelectric system to provide a clean energy supply for the property. 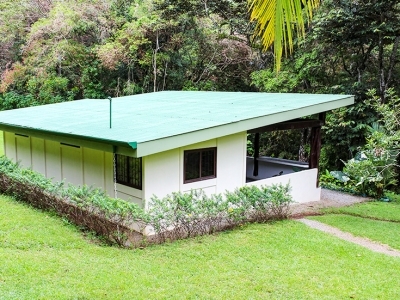 The abundant amount of usable space near the home provides several locations to place solar panels with a battery as well. 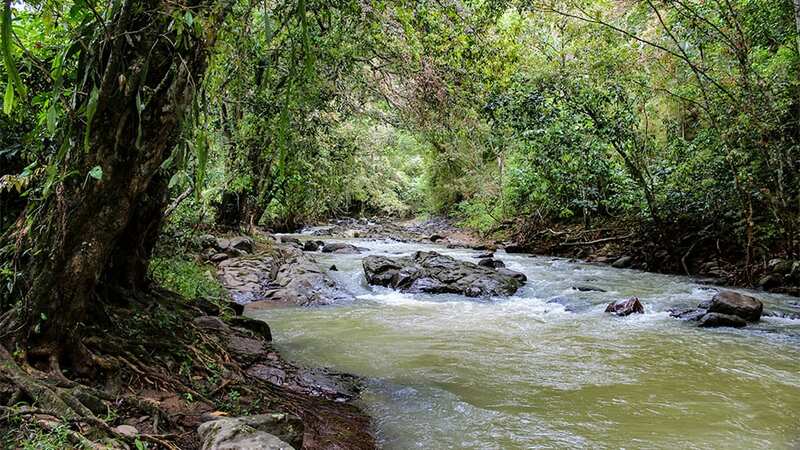 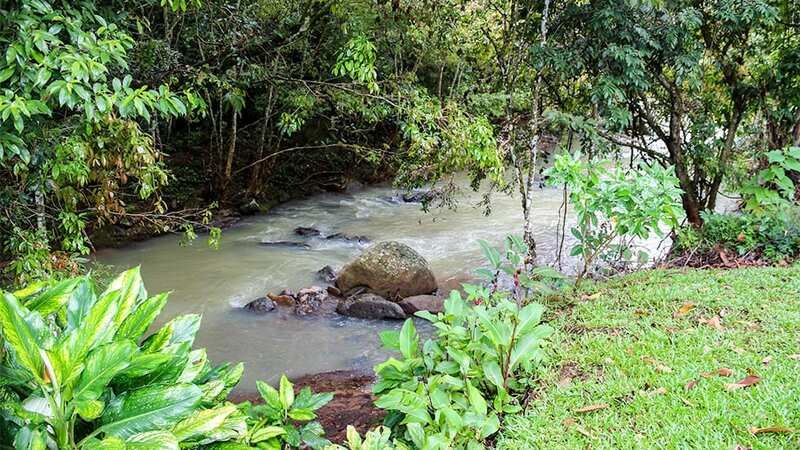 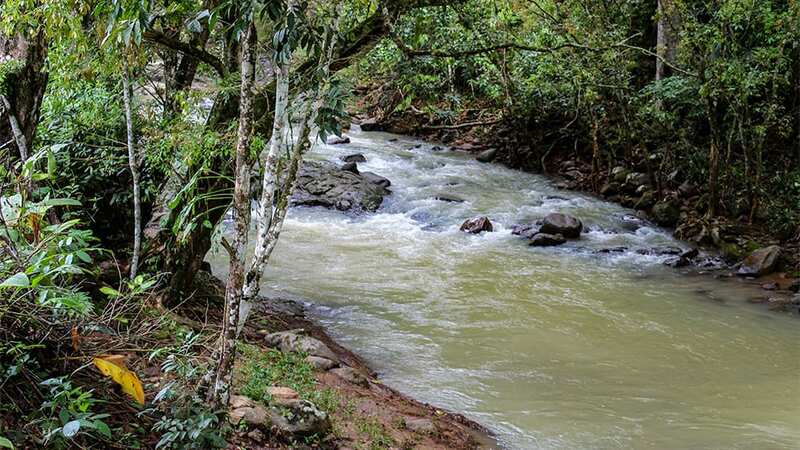 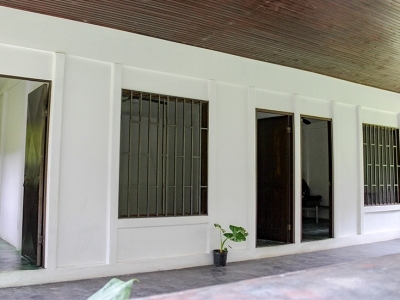 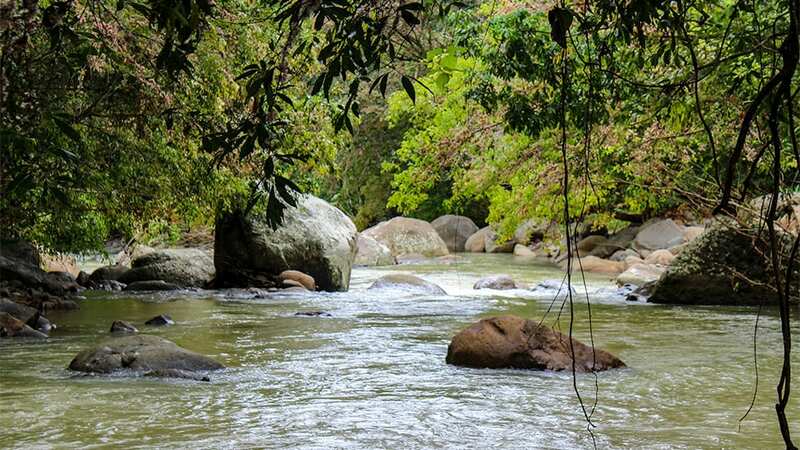 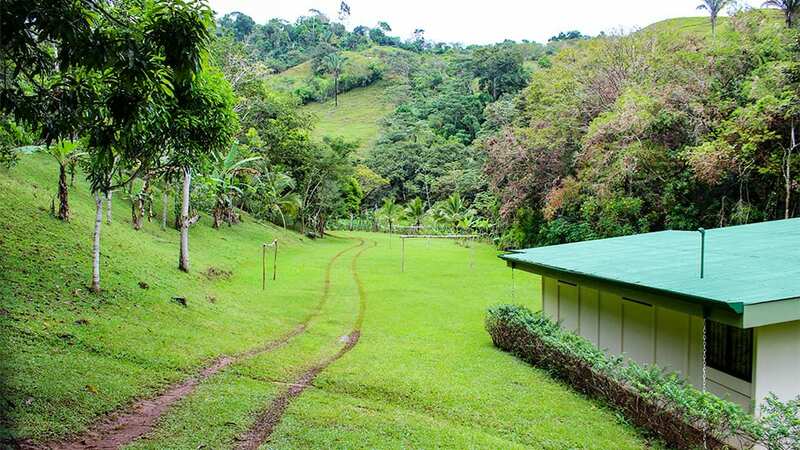 This property includes natural freshwater sources (river frontage / rain catch systems), a city supplied water supply, and for those who would like to tie to the grid, an electric supply is located just 500 meters from the property. 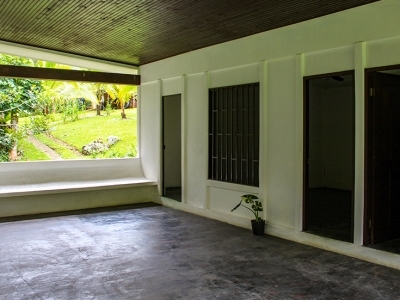 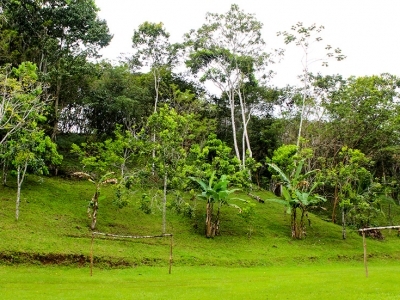 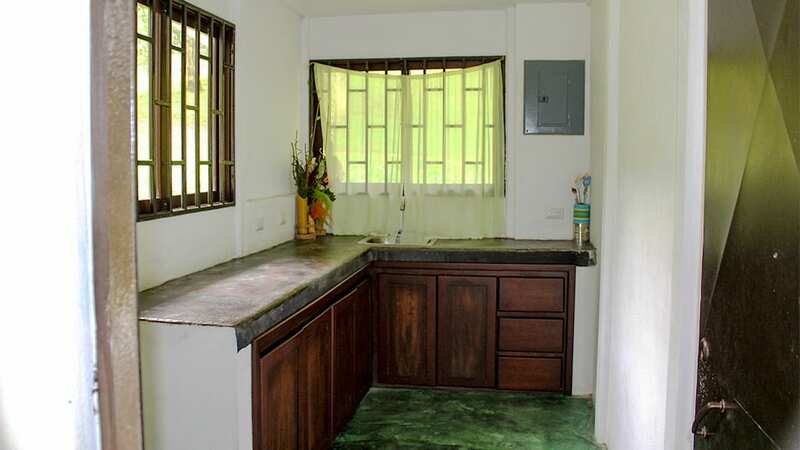 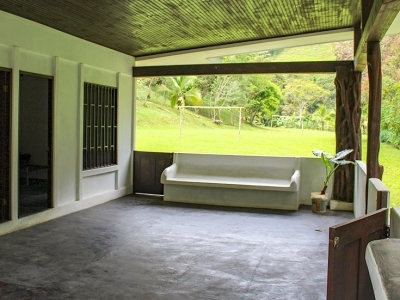 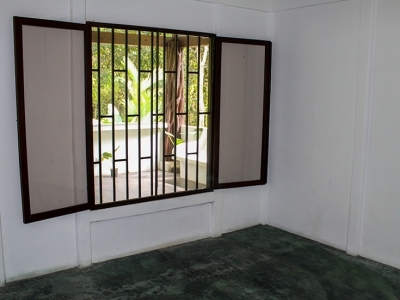 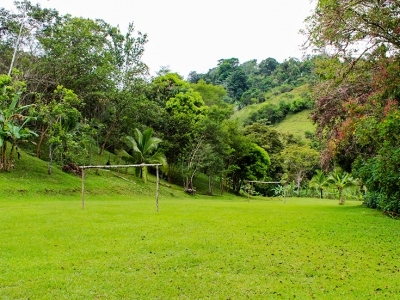 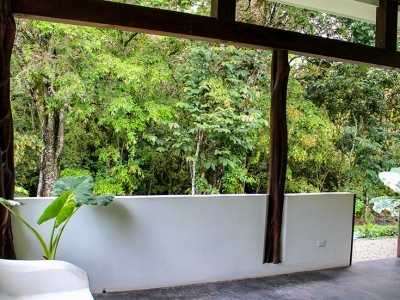 The property is located near the quaint town of San Lorenzo. 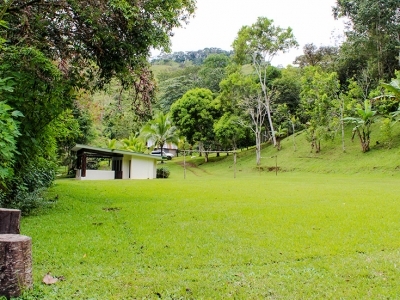 It is a country setting with an elementary school and a central church. 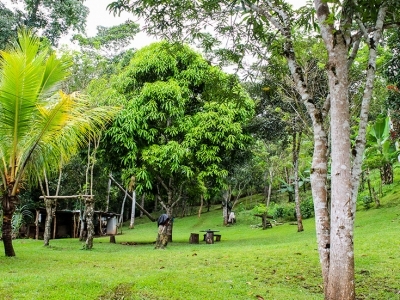 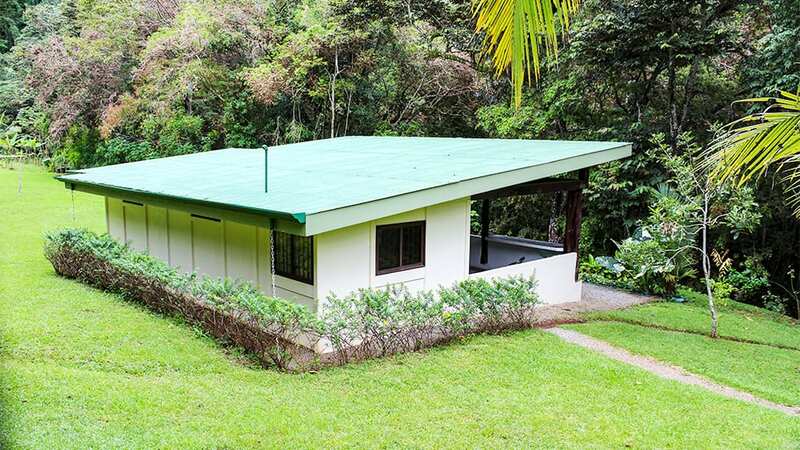 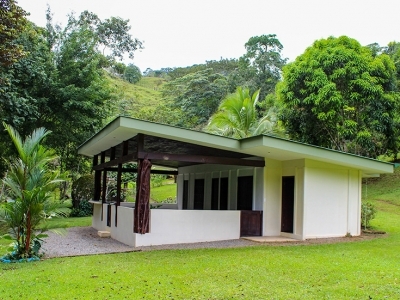 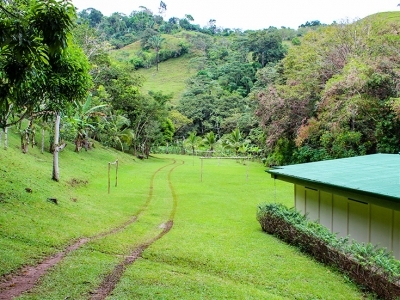 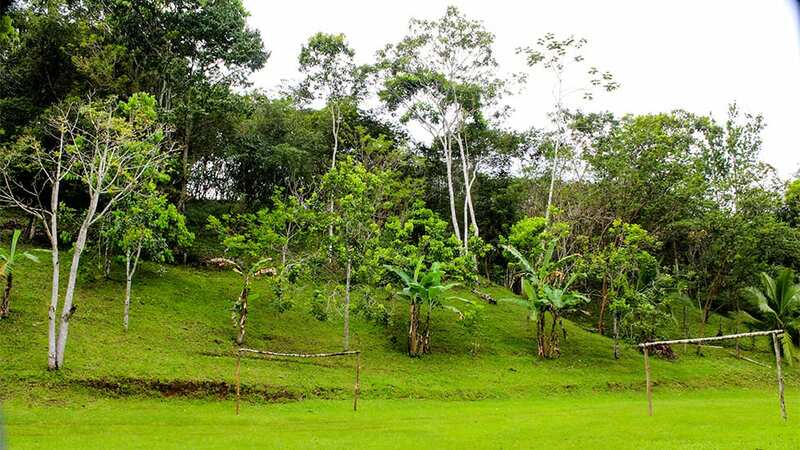 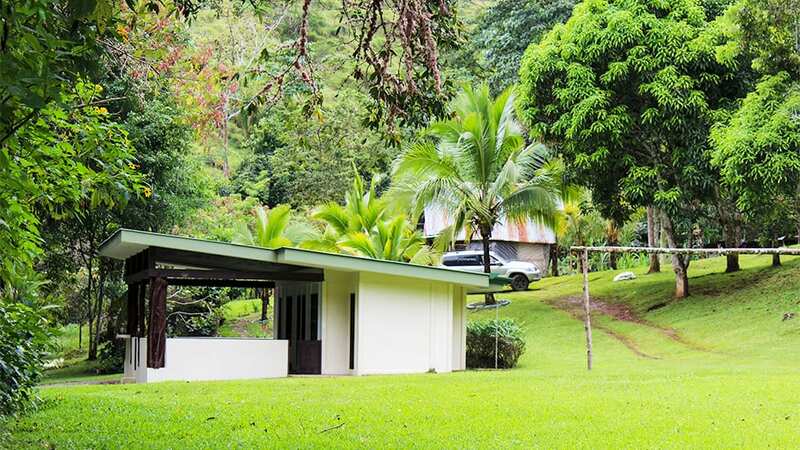 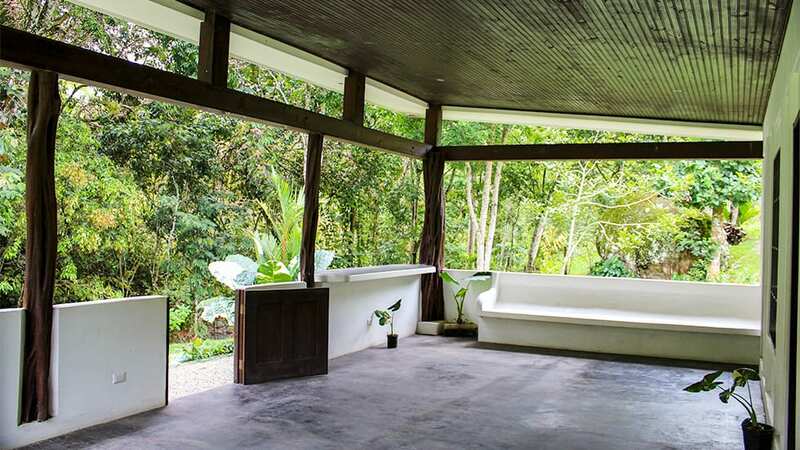 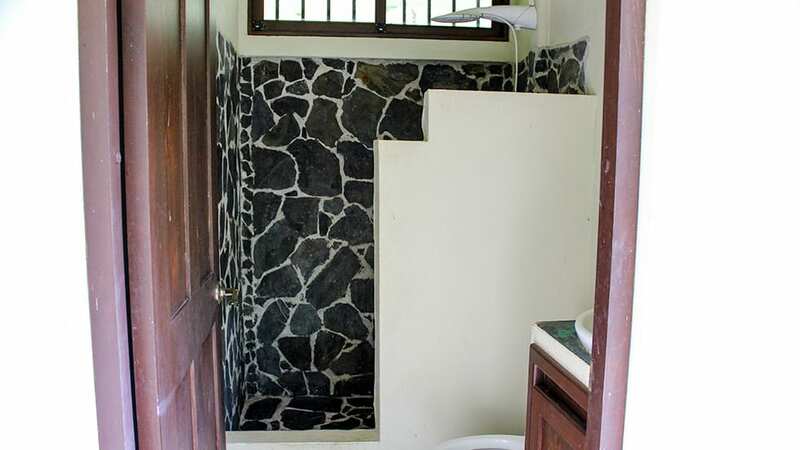 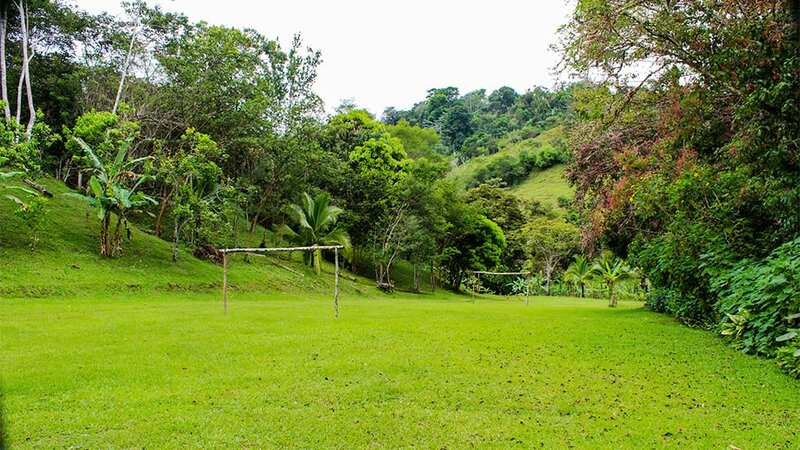 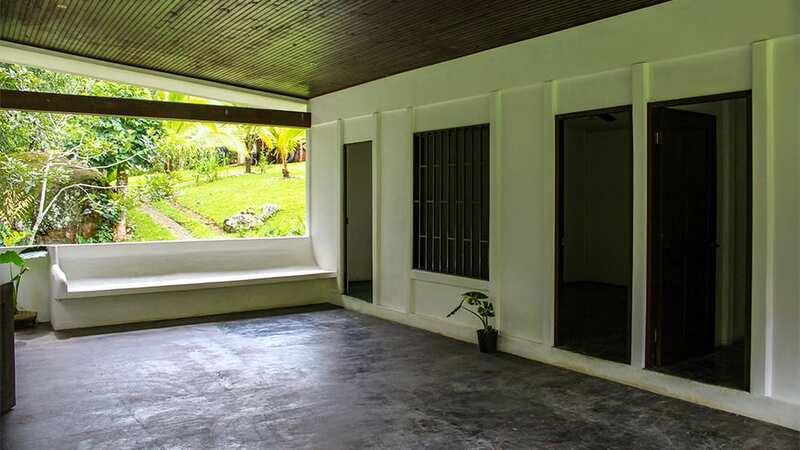 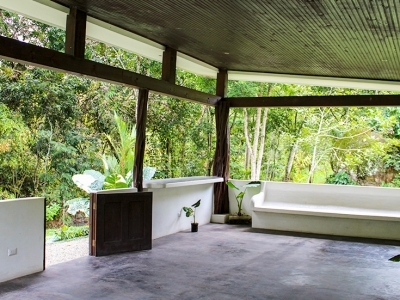 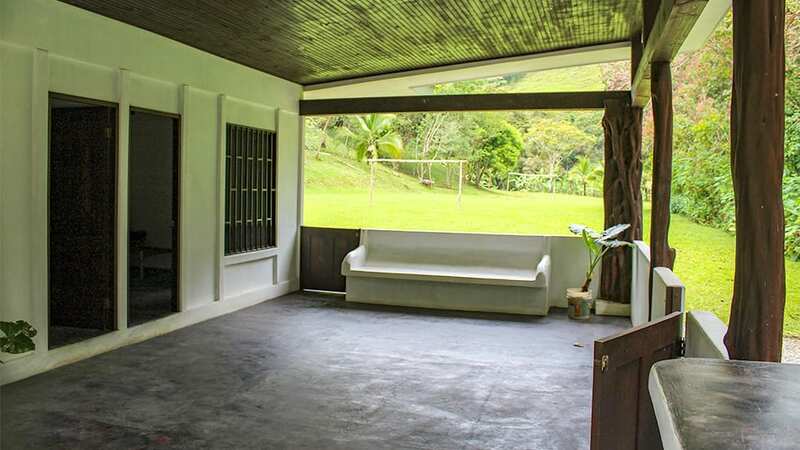 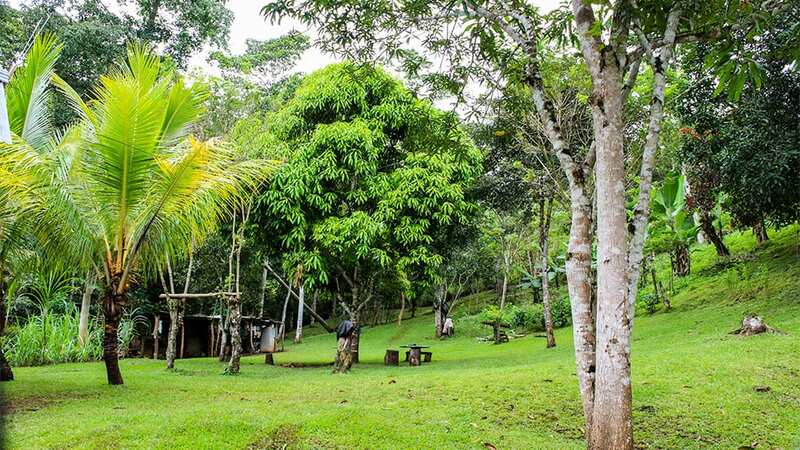 The property is 7.5 kilometers (4.6 miles) from the main highway that provides access to the beach town of Dominical and the city of San Isidro. 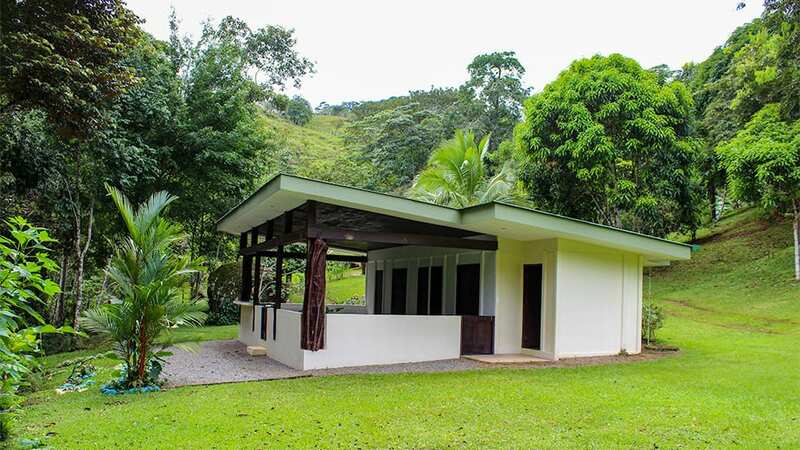 It’s a leisure 45-minute drive to the town of Dominical where you can enjoy the incredible waves and other beach activities. 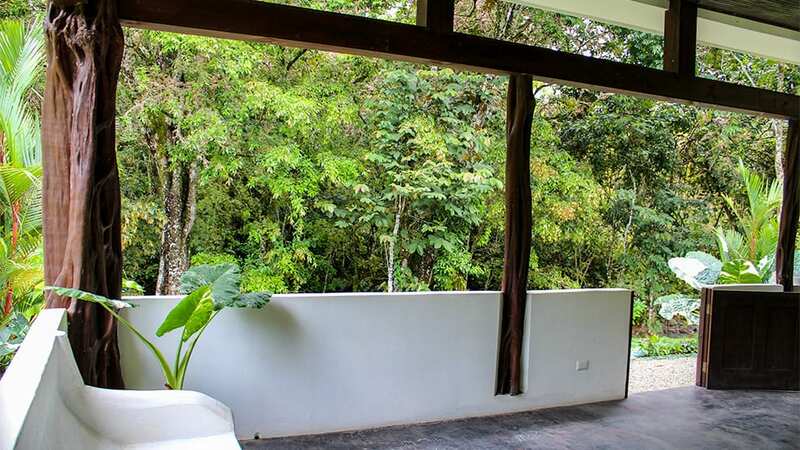 Heading the alternate direction, it’s a quick 25-minute trip to the city where you can find a copious amount of stores from clothing, home goods, and appliances, perfect to fulfill all of your needs. 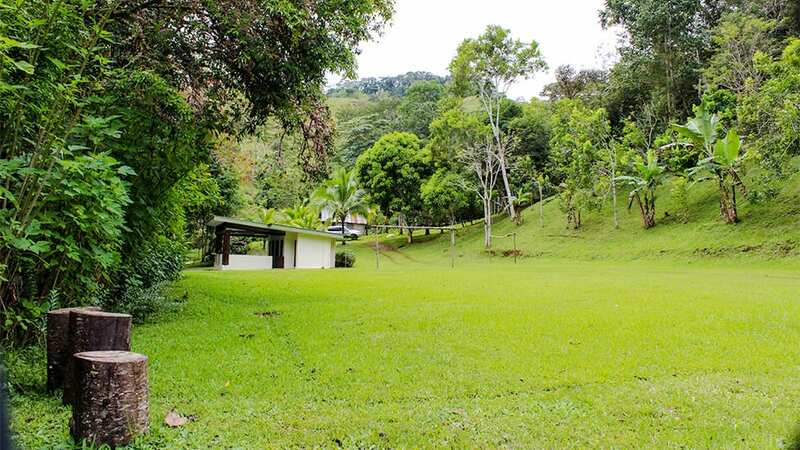 For those looking to build a large master home on the property for a permanent residence, there are private schools, municipal offices, and hospitals in the surrounding areas. 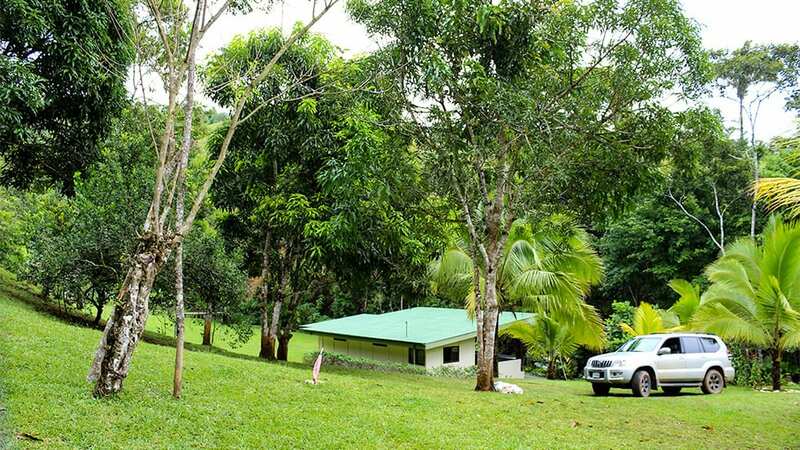 If you are a buyer looking for a private family retreat for nature getaways or a property where you can live a self-sustainable lifestyle, this is the perfect place for you.